Remember those lazy carefree days when you had nothing better to do than lay on your back on a grass covered creek bank? Your cane fishing pole was propped in the crotch of a tree limb you had cut from that shady old weeping willow you were under. Your line was a piece of string that had been tied around the newspaper that was wrapping the pork ribs your mother had bought at the meat market the day before and your float was a wine cork you had snitched from that bottle your dad kept hidden in his tool chest in the garage. How would you like to relive those wonderful days? Well you could if you lived in or around Oakhurst, CA. You might want to trade the cane pole for a new fancy rod and reel with real fishing line and one of those plastic floats. On the other hand, maybe you would prefer a fly-fishing outfit. Ether way you decide to go, you would get plenty of use from either of them. 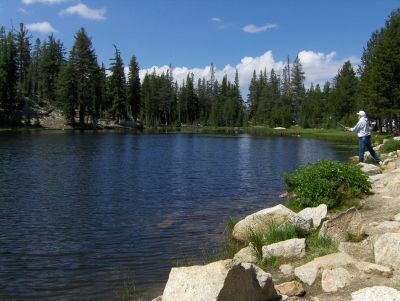 Within an hour or less, there are five lakes that are known to be hot fishing spots. The merchants around Bass Lake host a fishing derby every spring. They plant trout that are tagged and the lucky fishing persons that snag these baby’s can win a prize of anywhere from $50.00 to $10,000, WOW, just think about it, that grand prize would almost pay for your gasoline. 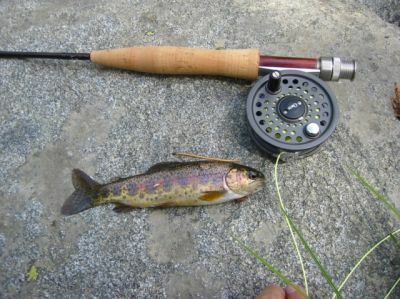 For fly-fishing, Lewis Creek would be hard to beat. The sparkling cold waters that rush over the boulders and into the clear deep pools start life as tiny droplets from the melting snow packs that adorn the peaks of the High Sierra Mountains. 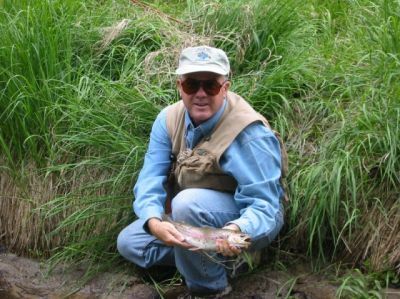 Another favorite stream for fly-fishing is Whiskey Creek. Heck, if you don’t catch anything, you could still get your kicks from drinking from it. See, you can, relive those lazy carefree days if you decide to make the Oakhurst area your new home.